Serverless is one of the new buzzwords that you have probably heard in recent times. It refers to a type of deployment where the server is abstracted away. It does not mean there are no servers, just that you do not have to provision the servers yourself. In some cases, serverless can free your business from the costs of maintaining infrastructure, upgrades, and provisioning servers. 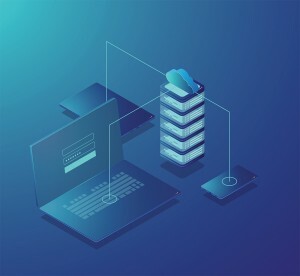 In this post, we’ll be exploring the basics of what serverless is, how it differs from microservices, and some possible benefits. The code is triggered by events. Events can be as simple as HTTP requests, or they could be many other types of events, depending on what the cloud platform supports. Within the cloud, the servers that executes the code are automatically provisioned (and decommissioned) by the cloud provider on needed basis. There are some similarities between serverless and microservices, but they are not the same thing. Both are methods to break an application into smaller, independent pieces. They differ in what is deployed and what is managed. There are 4 functions which can be deployed separately. Each function is able to communicate with the database. The user doesn’t have to provision a VM, the user can just deploy a function directly. The function only consumes resources when needed. There are some advantages when using a serverless architecture. One topmost advantage is that scalability is handled by the cloud provider. If demand or usage increases, the cloud provider can compensate by adding more servers when necessary. Another advantage is that costs are tied to usage. If the user has a service that is constantly in use, the user might not see any benefits. But if the user has a service that is intermittently used, then serverless may provide cost savings. Cloud Computing Serverless Architecture by admin.